New York Times bestselling author Fern Michaels is back with a beautiful, bittersweet tale of two lonely people who find heart-healing love, only to be torn from each other's arms. For everyone who loved Dear Emily, here is another poignant Fern Michaels novels to savor--a story of love, grief, passion, renewal--and incredible second chances. A brilliant career and loving friends weren't enough to heal Dr. Sara Killian's aching heart. For brief, magical moment, world famous rock star Dallas Lord was part of her life. Then he was suddenly and tragically taken away. 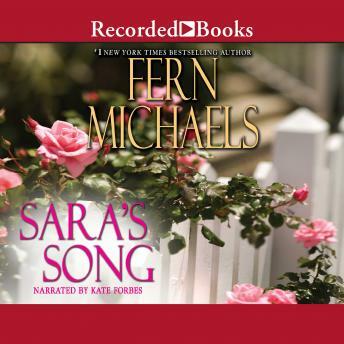 But before he disappeared, Dallas gave Sara a priceless gift--a beautiful love song written just for her. It's a legacy that will take Sara places she'd never dreamed of--into intrigue, betrayal and deadly danger. And, when she meets Adam Lord, Dallas's older brother, she will find herself torn--between Adam, the most attractive and complicated man she'd ever known, and Dallas, the man her heart won't let her forget. . .